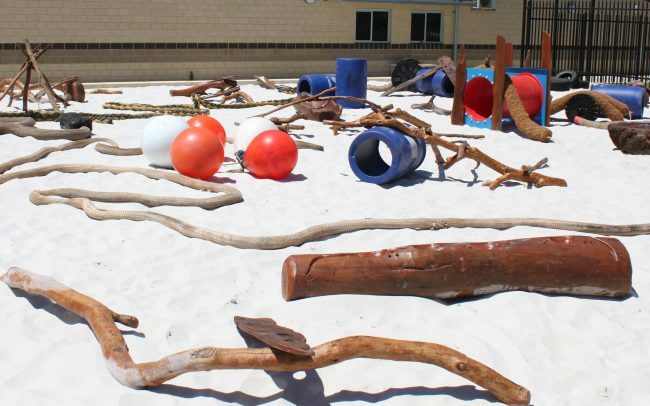 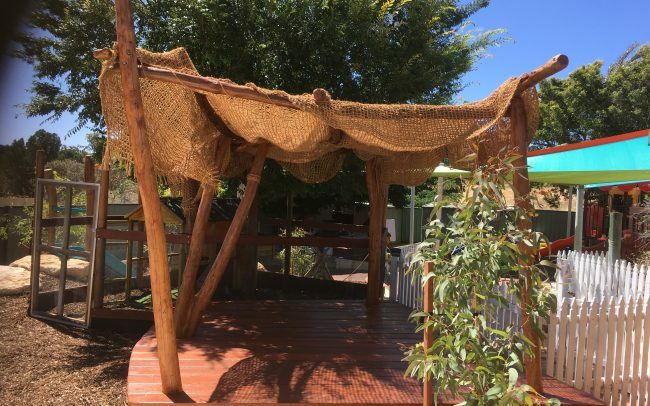 Nature Play Elements: Water Play: Timber Troughs, Water Logs and Stump, Water Rocks; Rope Sway Bridge and Rope Crossing; Ground logs and Rocks; Mounded Cubby Climber; Tree Plantings; Mulch and White Sand. 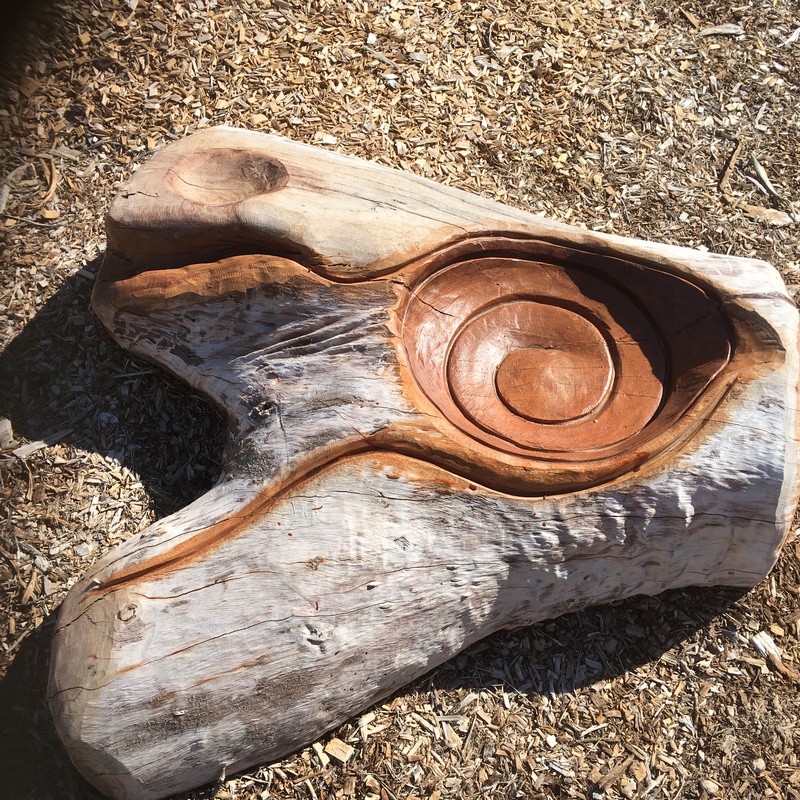 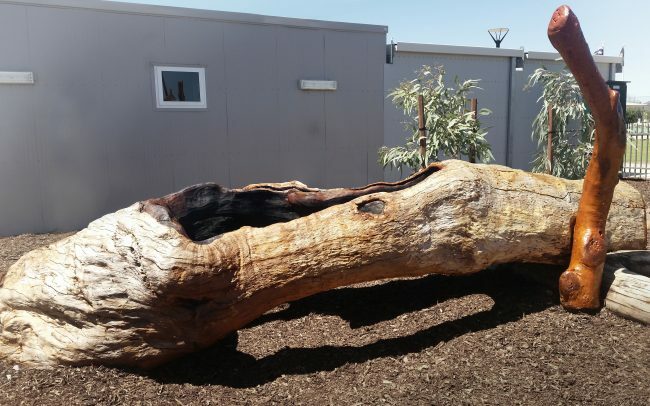 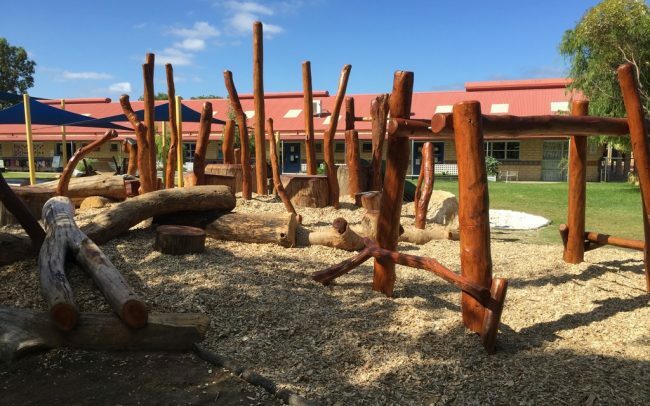 NBP was asked by the Principal of the Oakwood Primary School, to incorporate a nature play area as part of the new school build in the Early Childhood Area. 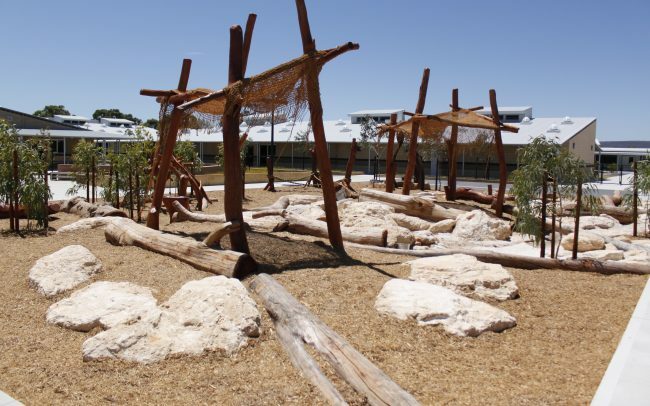 A Nature Play concept design was completed, working within the new buildings and landscaping site plans, to provide a unique and purposely built Nature Playground area for the school. 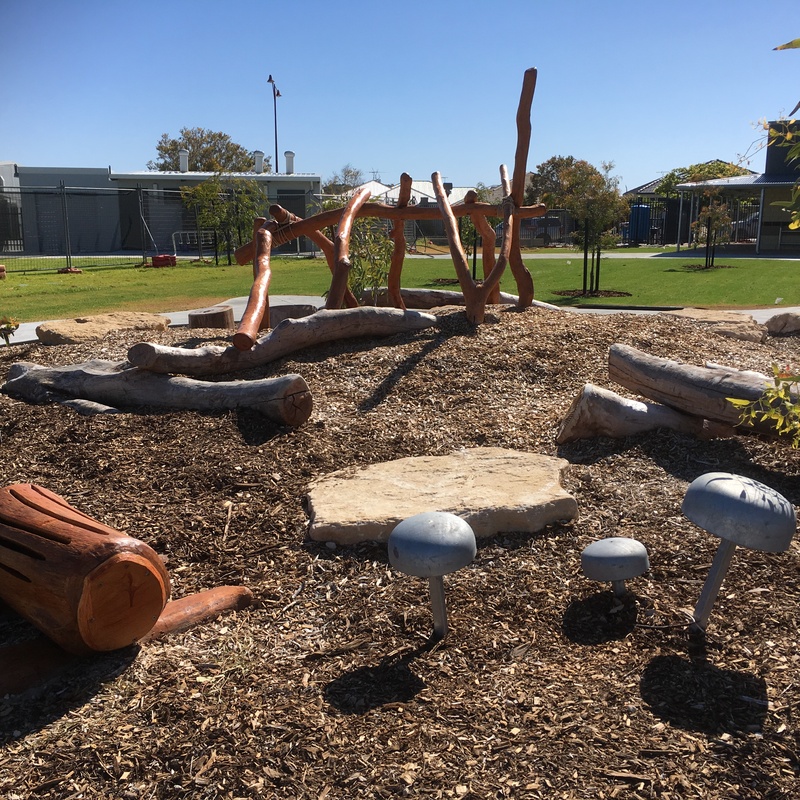 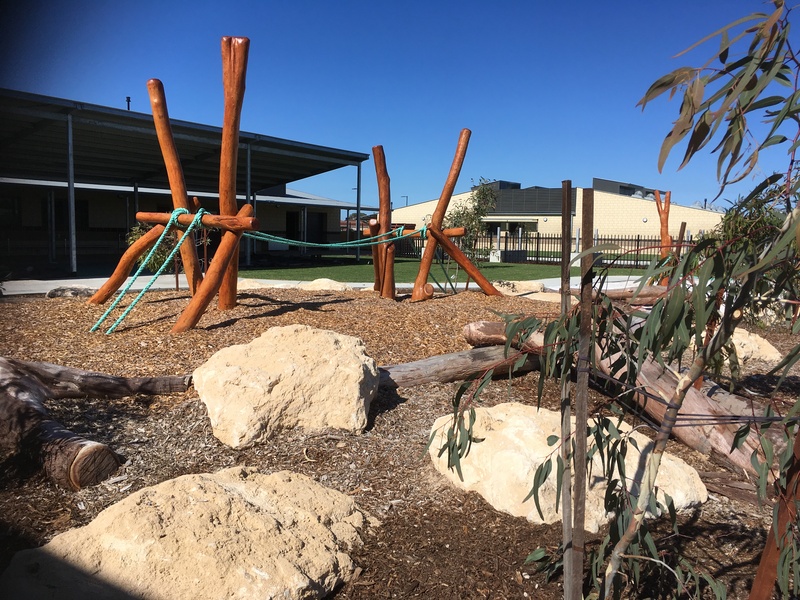 The new Nature Play area complemented the new buildings and landscaping beautifully, and added a wonderful natural play space area and aesthetic to the new school. 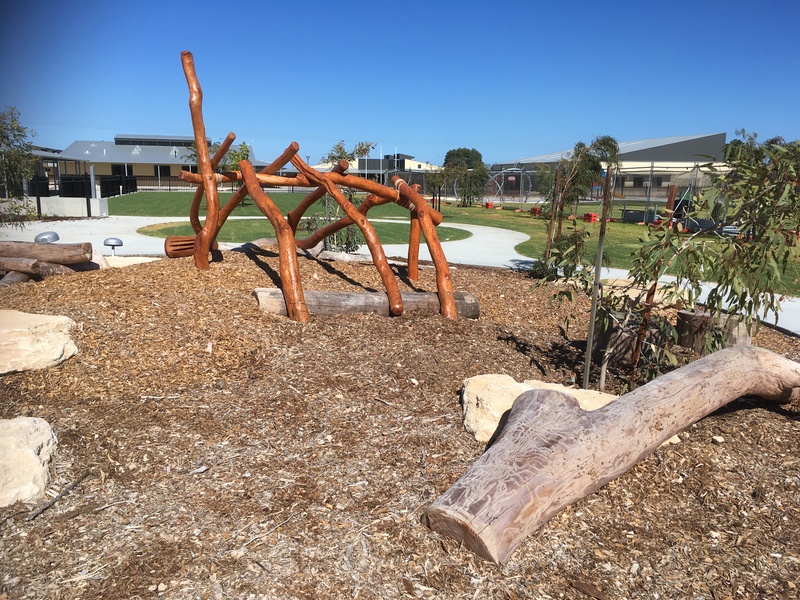 Native tree plantings will provide natural shading and landscaping to the playground space also, as they grow over time.